Ideal for the developing musician. Featuring a beautiful rich tone and easy playability, the YSL-447GE large bore is designed for players who are progressing past the grade 5 standard. 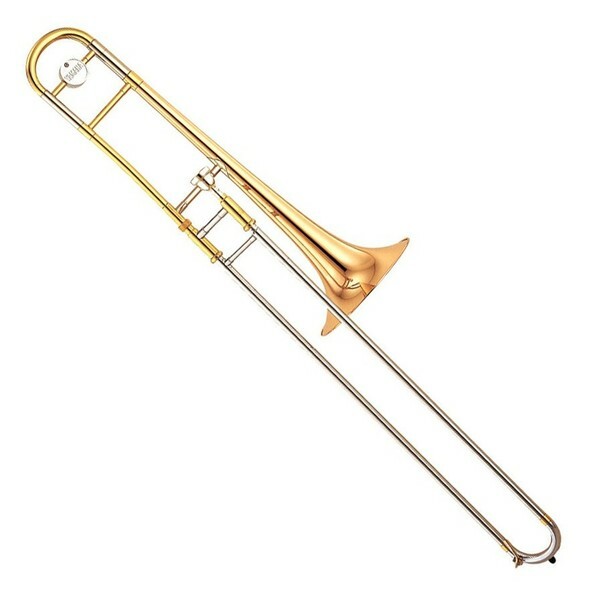 Similar to Yamaha's professional range of trombones, the YSL-447GE features an 8-1/2'' bell and a 0.547'' bore. This combination of a large bell and large perfectly suits the YSL-447GE for symphonic orchestras and brass bands. Included with the trombone is a moulded hard case and a large shank Yamaha 48 mouthpiece so you can start practising straight away. The Yamaha YSL-447GE will help you advance and improve your playing. Boasting great intonation with a fantastic sound without a large price tag, the YSL-447GE will comfortably take you past your grade 5. Thanks to the incredible versatility of the Yamaha trombone, the YSL-447GE can be used in solos, jazz bands, orchestras, or brass bands. The Yamaha YSL-447GE features everything you would expect from an advancing instrument. The 8-1/2'' bell combined with a 0.547'' bore produces a warm and rich sound which will project to the back of any concert hall. Both the bell and bore sizes are the same as Yamaha's professional trombones and are all crafted and assembled by hand - something you would normally expect only from top-of-the-line models. The YSL-447GE's intonation is accurate and consistent in all registers and volumes, providing reliability in live and studio environments alike. This model's nickel silver slide has a smooth, consistent action that retains its easiness over time. A nickel silver slide not only prevents corrosion, but also creates a smooth surface that creates a fast action. The body of the trombone is constructed from quality gold brass. The majority of symphonic brass instruments are manufactured using gold brass thanks to the warm and deep tonal qualities that it can produce. Once the trombone has been constructed, it is finished in a bright gold lacquer to keep it looking newer for longer. 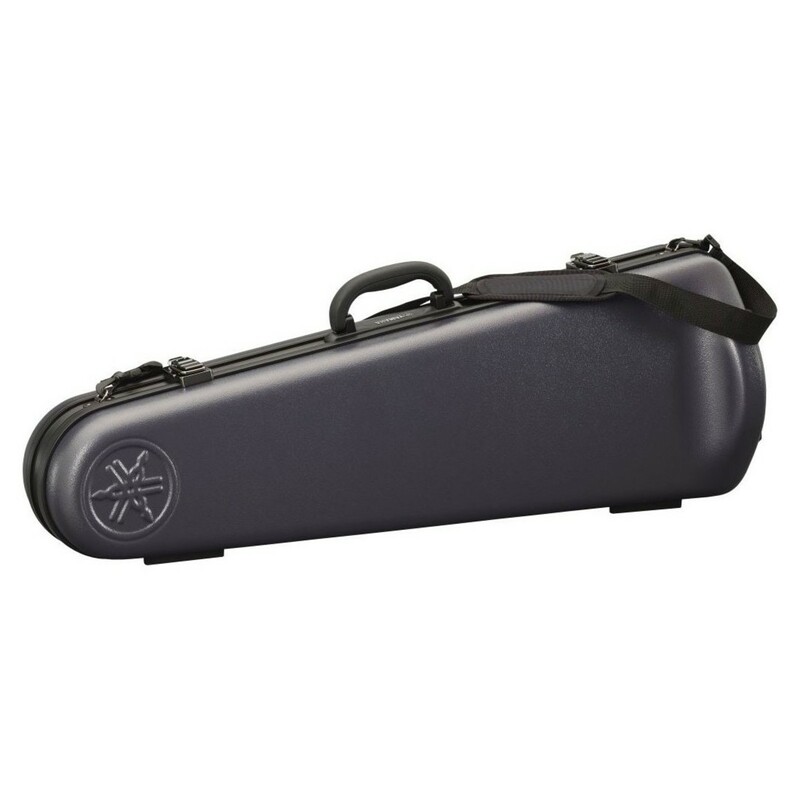 Included with the Yamaha YSL-447GE trombone is a lightweight moulded case. This case offers tough protection for your instrument to ensure it stays in the best possible condition. The case also includes a shoulder strap and backpack straps for easy transportation between musical events. To ensure you get the best possible start at the trombone, the YSL-447GE includes Yamaha's most versatile mouthpiece - the Yamaha 48L.